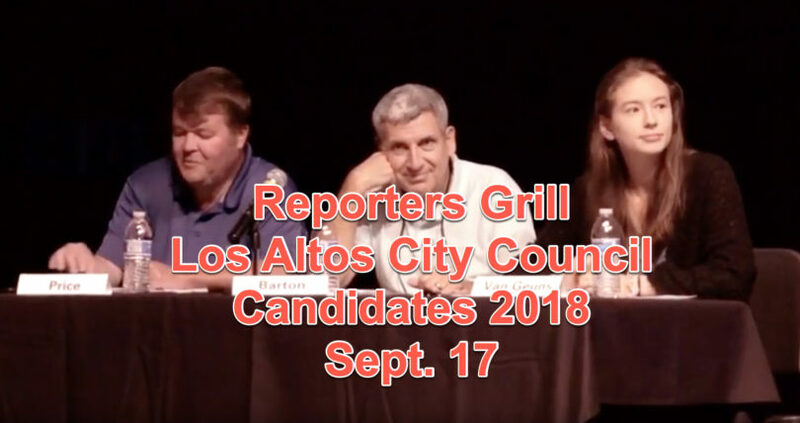 If you missed the live event featuring the Los Altos City Council Candidates 2018 at the Los Altos High School Eagle Auditorium Sept. 17, you can view video snippets now. The audio is excellent and the video blends five camera angles. It’s pretty exciting. Wait! There’s more. 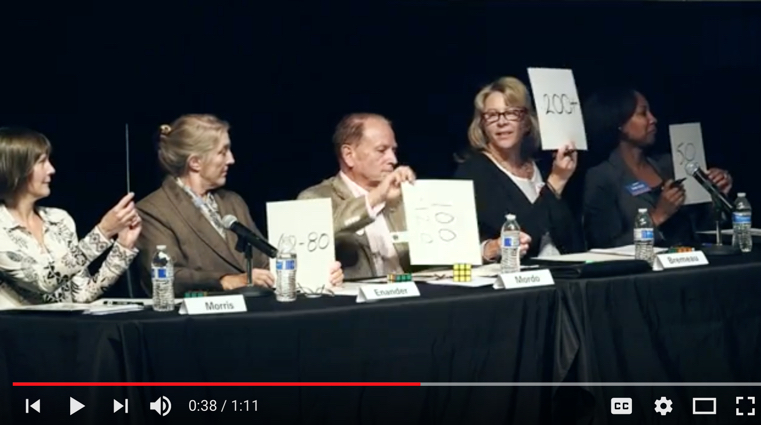 The event was divided into 26 segments according to the question/topic being posed to the Los Altos City Council Candidates 2018. That means you can pick and choose a la carte what to view. Which one to five+ minutes do you want to view? See the full google menu at the following link – it is a google playlist. OR in what follows, Lalahpolitico has selectively included links to her favorite SIX questions, six video snippets. This article is a quick read preview list of ALL the questions. Below you can quickly read what Questions were asked and answered. 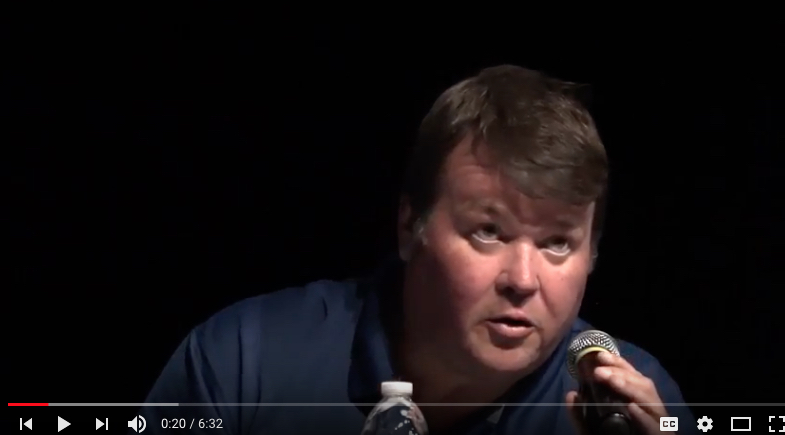 You can see in which order the five Los Altos City Council Candidates 2018 responded. Then you can go to the Google Youtube page link above and zero in on your favs. One Sept. 17 Question: How many hours a month do you expect to spend on City Council business if elected? 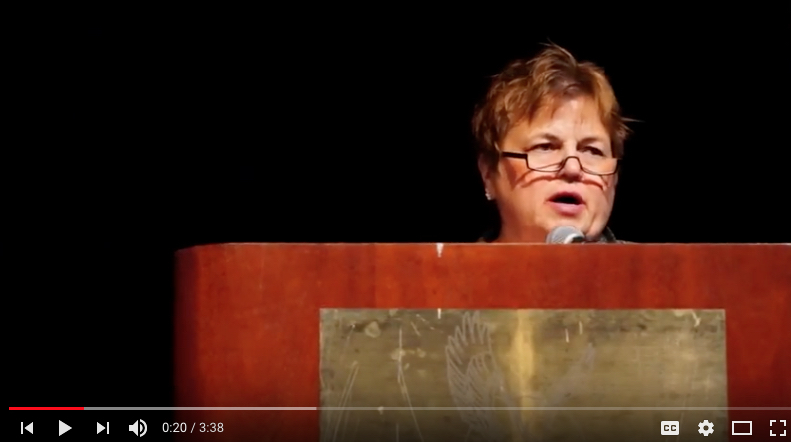 Looks like Nancy Bremeau expects to be a workhorse! Left to right…60, 60-80, 100-120, 200, 50. 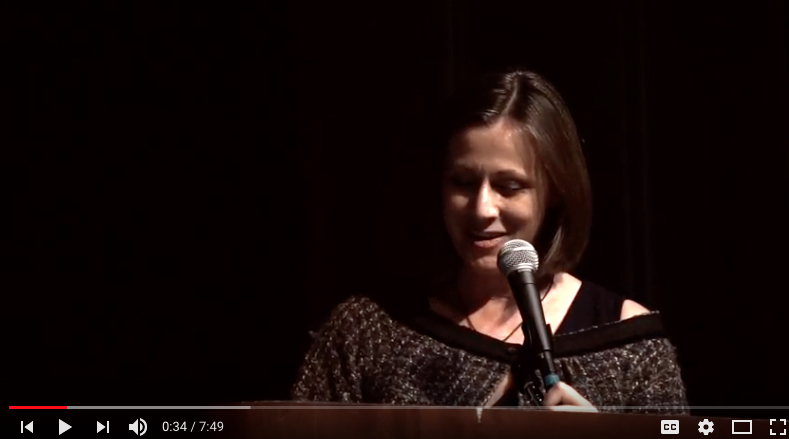 The event Moderator was Robyn Abrams. Question 0 – Intros: Teresa M., Anita E., Jean M., Nancy B., Neysa F.
Question 1: Barton: If you could accomplish one thing during your term, what would it be? Two candidates have doubts about the plan. Ones say we must redo and extend the outreach even more. Question 3: Emma: What does a ‘vibrant” downtown mean to you? What features would it host for youth? Question 5: Price: What do you think of City Manager Chris Jordan’s 9 out of 10 days workweek schedule? 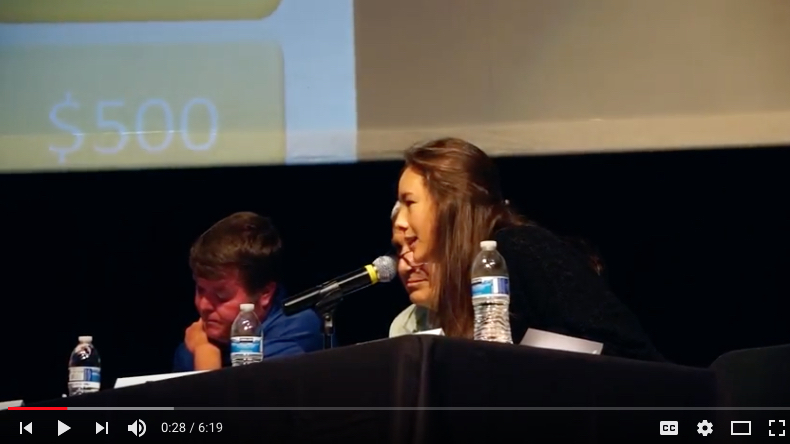 Question 7: How would you work with NIMBYs? Question 8: Do you favor retail sales of marijuana in Los Altos? Do you use it regularly? Question 9: Would you favor a city restriction on the idling of vehicles on city streets to reduce air pollution? 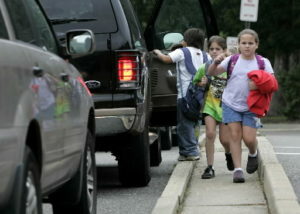 Question 11: What would you do about student drop-off traffic at our schools, it’s not green and it’s not safe? Question 12: Price: What is your philosophical position on Road-Diets’ the narrowing of roads? Question 13: Emma: What is the role and the value of the Press today? Why did you move to Los Altos? For Schools? To be close to work? to be close to family? 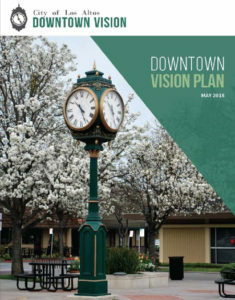 Do you receive the City Managers weekly update report? Do you or you and a child bike to downtown in the last year? Did you vote in the 2014 election? 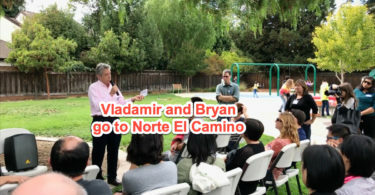 Did you know that in 2014 there were 19000 registered voters in the City of Los Altos boundaries and 7000 of them did NOT vote? 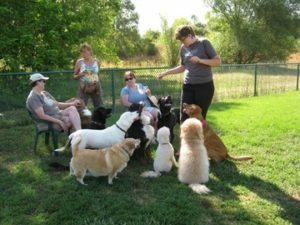 Candidates disagreed about the recent dog park survey. 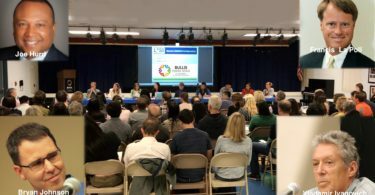 Question 17: Why should we vote for you among all of the Los Altos City Council Candidates 2018? Question 18: How should we improve our relations with the school districts? Question 18: How would you increase the participation of youth in our local government? 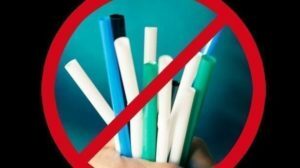 Question 19: Robin Abrams: Yes or No, would you support a city ban on plastic straws? All showed YES signs.